So many shades of White paint. 4 fave white tones by the Benjamin Moore Paint people. So many shades of White paint. There are a few people who scoff at this, but color is mystical and real, and the slightest change of tone in a pot of white paint makes a big difference. 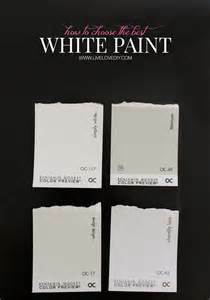 There are more than 120 white shades in the Ben Moore Off-White Fan Deck and that does not count all the other palest of pale tones of every color in the visible spectrum. So here comes your unasked-for advice, based on my experiences so far with the white scene. The most pure white of all is called CHANTILLY LACE OC-65. 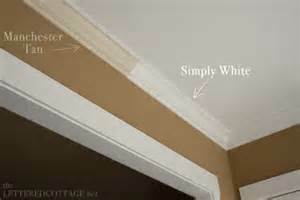 A few drops of gray go into a gallon to help keep the whiteness from blinding clients. It’s a glorious, clean, cool white. When you want crisp and cool, this is one to consider. WHITE DOVE has a warm pale pale beigy-gray-white tone. 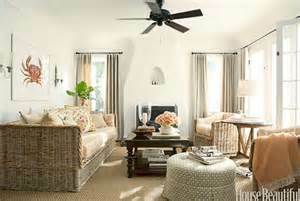 It’s used often – a versatile, modern shade It’s considered a cool off-white, but it’s not ice-y to me. My current FAVORITE white, though, is MASCARPONE AF-20. O.M.G. What a glory! Brilliant. Warm. I think this may be used on the painted woodwork in the large woodland fairy house I’m consulting on now. And it’s being considered for the dining room walls, where the woodwork and built-ins are rich, warm-toned wood. SIMPLY WHITE OC-117 is the Benjamin Moore 2016 Color of the Year. It’s creamier than the Chantilly Lace, but it’s not a true Cream. 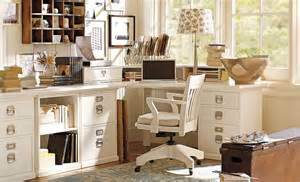 It works well will about any color scheme, warm or cool. Very beautiful. Send me your questions about white colors!